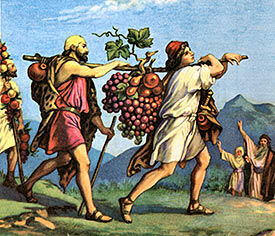 Israel asks Sihon King of the Amorites to pass through his territory. 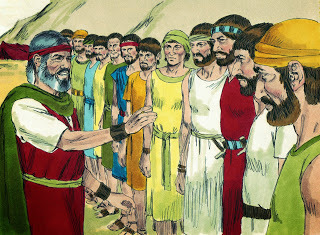 Sihon refused passage and sent his army into the the desert to slay the Israelites. Israel overcame Sihon's army at Jahaz and took over the land from Arnon to the Jabbok. Israel captured all the cities of the Amorites and occupied them including Hesbon. 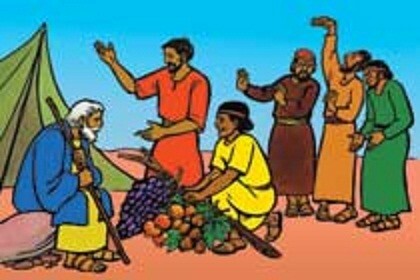 The Israelites drove out the Amorites from the land. Num 21: 20-32 The Israelites went up the road toward Bashan fighting the army of King Og at Edrei. 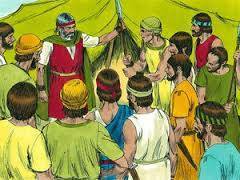 The Israelites destroyed Og and his entire army taking possession of the land.